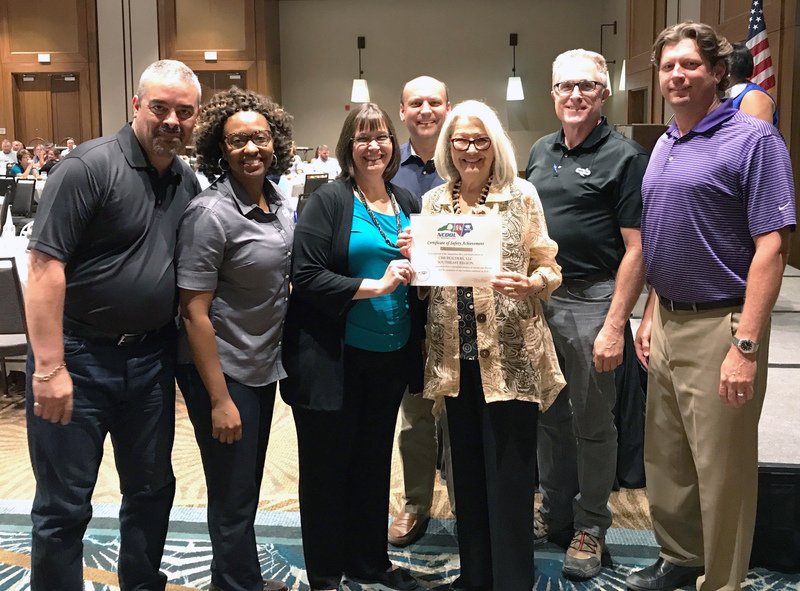 Cherie Berry, Commissioner of the North Carolina Department of Labor (NCDOL), presented CRB's Southeast Construction Services Group with the NCDOL Gold Award Certificate of Safety. The award signifies that CRB's DART rate was at least 50% below the industry average. This is the 9th consecutive year in a row CRB Southeast CSG has accepted this award! The N.C. Department of Labor’s Safety Awards Program recognizes private and public firms throughout the state that achieve and maintain good safety records. The program is designed to stimulate interest in accident prevention and to promote safety in the workplace by providing an incentive to employers and employees to maintain a safe and healthful workplace. In operation since 1946, the program now extends to more than 5,000 firms, and about 3,000 awards are presented annually. Two types of awards are administered through the program: Annual Safety Awards and Million-Hour Awards. Pictured left to right: Al Ayala, Bianca Richardson, Wendy Phillips, Carl Rohs, Cherie K. Berry (NC Commissioner of Labor), Rob Upleger, Andre Brown.